Our Partnership comprises business and community members from across the Great South Coast who care passionately about the future of our region. David Pope is Operation Manager at Popes Timboon. He is president of the Twelve Apostles Tourism and Business Association and an active member of the Building Stronger Corangamite Communities leadership group. David is passionate about tourism and increasing the role it must play in the diversification of regional economies. Sarah Schmidt is the Director of Hamilton Gallery, one of Australia’s most significant public collections and among Victoria’s key regional galleries. Sarah is passionate about the communities of the Great South West receiving first class cultural events, programming and facility development, which each help drive cultural economy, general economy and tourism. Lisa Dwyer is a dairy industry leader with extensive experience in the engagement and representation of multiple agribusiness groups. Lisa farms in partnership an 850 acre dairy enterprise - Kangertong Pastoral. She is currently a non-executive director of Dairy Australia and LiveCorp and a graduate of the Australian Rural Leadership Program. 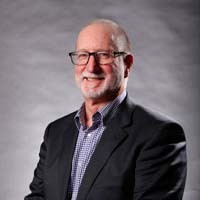 Wayne Kayler-Thomson is the Chairman of Great Ocean Road Regional Tourism, Council member and Adjunct Professor of Victoria University, Director of Vicsuper, and Deputy Chairman of the Victoria Tourism Industry Council. Wayne is the immediate past Chief Executive of the Victorian Chamber of Commerce and Industry and is a passionate advocate for regional development and the visitor economy. Stephen Lucas is the Chair of the Warrnambool Regional Airport Advisory Committee and Horizon21. Stephen has a breadth of experience in the transport and emergency services sector having been a president of Bus Association Victoria, a helicopter pilot in the Australian Army and a chair of Westvic Helicopter Rescue Services Inc.
Allan Miller is a proud Gunditjmara man who lives in Warrnambool and works on the traditional lands of which he was raised. 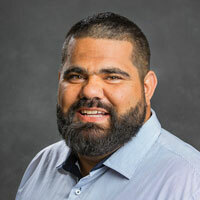 Allan is Executive Officer of the Barwon South West Regional Aboriginal Advisory Committee and Chair of the Eastern Maar Aboriginal Corporation. He is a former Chairman of the Gunditjmara Aboriginal Co-operative, the principal Aboriginal health and community service organisation in the Warrnambool district, and a recipient of the Ricci Marks Award – Victorian Young Aboriginal Achievers Award. Allan's passions are community, culture and family. 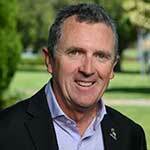 For the past 12 years Allan has strongly advocated for his people, land and culture in south west Victoria. Anita Rank holds the position of Mayor for Glenelg Shire as well as Director positions with Portland District Health, Active Health Portland, Leadership Great South Coast, Great Ocean Road Marketing and Chairs the Community Advisory Committee for Portland District Health and is a Life Member of South West Sports. Anita’s interest include running and cycling and is a member of the Portland Runners Club and Portland Triathlon Club. As well as being a member of the Regional Development Australia Barwon South West Committee, Anita is studying a Masters in Politics and Policy at Deakin University. 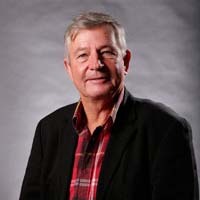 Peter became Chief Executive Officer of the Warrnambool City Council in February 2019. 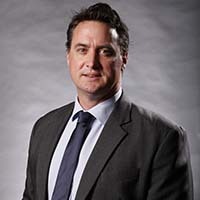 He has experience in both local government and the private sector and was most recently Chief Executive Officer of Perth-based local government authority, the Eastern Metropolitan Regional Council (EMRC). Bill has a strong background and connection to South West Victoria, having previously worked with Glenelg Shire and Warrnambool City Council. Bill has a strong interest and significant experience in strategic planning and economic development where he has supported major manufacturing expansion, industrial and residential development and all aspects of strategic land use. Andrew Mason is Chief Executive Officer of Corangamite Shire Council. Prior to his appointment in September 2010, Andrew was Corangamite Shire’s Director Sustainable Development for two years. Andrew has extensive experience as a planning consultant and has held senior management positions in both the State and local government sectors. Andrew works actively with private and government stakeholders as a member of many external committees. Andrew holds a BA (Planning) and MBA. Greg Burgoyne brings strong financial management expertise to the Glenelg Shire Council in his role as Chief Executive Officer. Greg’s extensive work history includes appointments to Boards and Audit Committees, balanced with well-honed commercial skills. He has held directorships with a number of Shell Companies, the Australian Tax Office and the NSW Police Force. 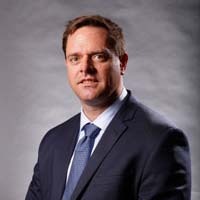 Greg holds three Masters degrees, in accounting, in business (corporate law) and in professional ethics, as well as a Graduate Diploma in taxation. He is also a Fellow of the Australian Society of Certified Practising Accountants. Michael commenced as Chief Executive Officer of Southern Grampians Shire Council in March 2016. Michael previously headed up Economic Development and Advocacy at Melton City Council for almost five years and also held senior roles in State Government Departments and Statutory Authorities for over 11 years prior. Michael has also held a number of governance positions Government and Non-Government sectors including Statutory Authorities, State Entities and Not-For-Profits and is a Fellow with the Australian Institute of Company Directors.